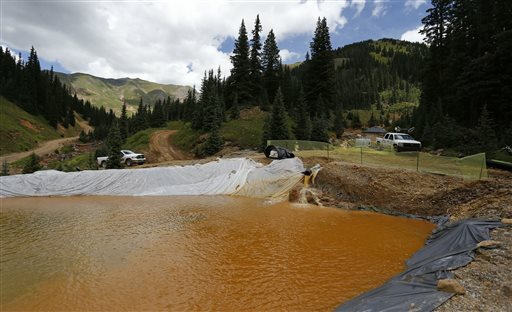 DENVER (AP) — Colorado officials say they didn’t endorse an Environmental Protection Agency cleanup operation that caused a massive spill of toxic wastewater from an inactive mine, disputing a key claim by federal agencies that state experts signed off on the plan. State officials neither approved nor disapproved of the operation, according to a Sept. 2 letter to the EPA from Mike King, executive director of the Colorado Department of Natural Resources. The Associated Press obtained the letter through an open records request. King’s letter is a blow to the EPA’s contention that outside technical experts supported its plan to push a drainage pipe through debris covering the entrance to the Gold King Mine in southwestern Colorado on Aug. 5. The debris gave way, unleashing a torrent of 3 million gallons of wastewater laden with heavy metals from inside the mine. The letter also raises questions about an investigation of the spill by the federal Bureau of Reclamation, which claimed two mining experts from the state approved of the project. Some members of Congress have questioned whether the bureau’s investigation was sufficiently independent. The bureau is part of the Interior Department and is separate from the EPA. The Bureau of Reclamation had no immediate comment on King’s letter. Spokesman Peter Soeth said Thursday the employee who wrote the report was out of the office and could not be reached. The EPA said it was reviewing King’s letter. In a written statement, the agency said only its inspector general received the letter, and other officials didn’t see it until Tuesday. The spill polluted rivers in Colorado, New Mexico and Utah, including on the Southern Ute Reservation and Navajo Nation. The EPA came under intense criticism from Congress and from state and local officials for causing the blowout and for the way it responded. 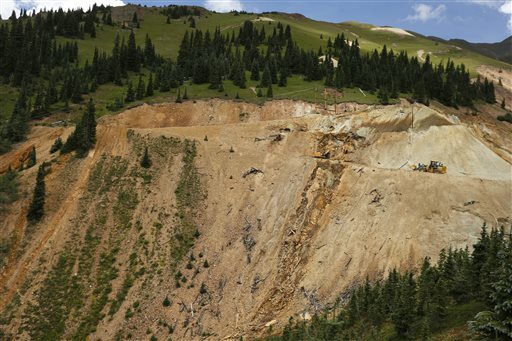 Both the EPA and the Bureau of Reclamation concluded the cleanup crew underestimated the depth and pressure of the water, which gushed out of the mine when the debris was breached. An EPA internal review made public Aug. 26 said the two mining experts from the state Department of Natural Resources and EPA officials believed the water inside the mine was under little or no pressure. 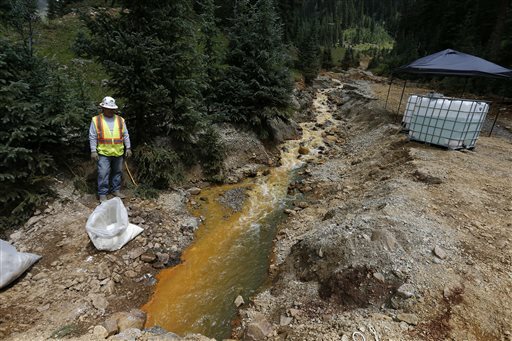 The EPA said the state experts were at the Gold King Mine on the day of the spill in a supporting role for the cleanup operation. But King’s letter said the state experts didn’t make any determination of how high the water pressure was inside the mine. He said they were not involved in the Gold King operation and had gone to the mine only because an EPA official at the scene wanted to talk to them about future work there, not the work going on that day. The Bureau of Reclamation report, released seven weeks after King’s letter, described the two state experts as being even more deeply involved than the EPA report did. The state experts discussed the EPA plan for the Gold King Mine with the chief EPA official on scene “and were in agreement to proceed,” the Bureau of Reclamation report said. In an email to the AP, Department of Natural Resources spokesman Todd Hartman said that was incorrect. He did not elaborate. Hartman said a Bureau of Reclamation official spoke with both the state mining experts before the report was issued. He said the department would not make the two experts available for an interview. They were identified as Bruce Stover, director of the Inactive Mine Reclamation Program, and Allen Sorenson, project manager and geological engineer for the same program. King’s letter raised nine specific objections to the report by the EPA and to a memo from an EPA contractor. Hartman said the EPA didn’t respond to the letter. The EPA’s inspector general is also investigating the spill. The agency announced last week the inquiry would be expanded to include, among other things, whether the Bureau of Reclamation’s investigation was independent.